Thank you very much for inviting me to this important meeting in Geneva. During my last years in the European Parliament where I served as vice-president for 15 years, I together with some colleagues, formed an NGO, which is called the ISJ or International Committee In Search of Justice which is registered as a non-profit organization in Brussels. We have formed several working groups which have produced some reports and policy papers. These reports have been warmly received in political circles in the EU and USA. On 16 August, ISJ produced a comprehensive report on the audio file of late Ayatollah Montazeri, the designated successor to Khomeini, the founder of the Islamic Republic. This audio tape is an important document and evidence of a crime against humanity in 1988 when more than 30,000 political prisoners, mostly affiliated to the main opposition PMOI, were executed by the order and fatwa of Khomeini. They were buried in mass graves and their families were unable to grief for their loved ones. This 40 minutes conversation with the so called death commission, was recorded a few days after the start of the massacre. The participants in the meeting comprised only the death commission of Tehran and did not include people from other cities. Mr Montazeri urges these executioners to stop the killings and even says that you will be remembered as the biggest criminals in history. The participants tried to downplay the scale of the killings because Montazeri was still Khomeini’s successor. It is interesting to note that one of those members of that Death Commission is the current Minister of Justice in the government of President Rouhani. Ayatollah Montazeri’s opposition to that massacre, resulted to his dismissal by Khomeini. So Mr Montazeri paid a heavy price for this. He was humiliated and repressed by Khomeini and later by the current Supreme Leader Ayatollah Khamenei and was put on house arrest till his death in 1989. Khomeini’s fatwa of killing members and supporters of PMOI, leaves no doubt that he ordered a crime against humanity; therefore, all of the people who had a role in implementing this decree were involved in a crime against humanity. This massacre and genocide did not stop in 1988 and in fact continues to this date. The execution of 25 Sunni prisoners on 2 August 2016 is a recent example. 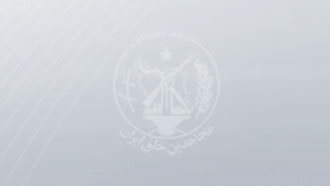 The same officials in charge of the 1988 massacre are still at the helm of the Islamic Republic of Iran and are involved in the suppression and destruction of different sectors of Iranian society including Pour-Mohammadi, the current Justice Minister who has said that he is proud to have carried out the executions. Bear in mind that this criminal is in the government of the so called “Moderate” Rouhani! The 1988 massacre of political prisoners in Iran is an example of both a crime against humanity and a genocide. Based on international conventions, neither crime against humanity nor genocide are expired with the passage of time. Therefore we have called for the 1988 massacre to be on the agenda of the current Human Rights Council. The UN High Commissioner for Human Rights must issue a call for an investigation in this regard. The upcoming session of the General Assembly in New York in October must issue a resolution and call for an investigation into this massacre and refer its dossier to the Security Council. We also urge the UN Security Council to form an international tribunal to examine this case and prosecute those responsible. I wish to conclude by asking all of you, including those who are watching this meeting live on the television or internet, to make sure that the brave resistance of those 30,000 political prisoners who were brutally hanged, will be remembered and that the criminals who are ruling Iran today will be prosecuted and brought to justice. We urge the western governments to condition their relationship with Iran to a suspension and halt of executions.